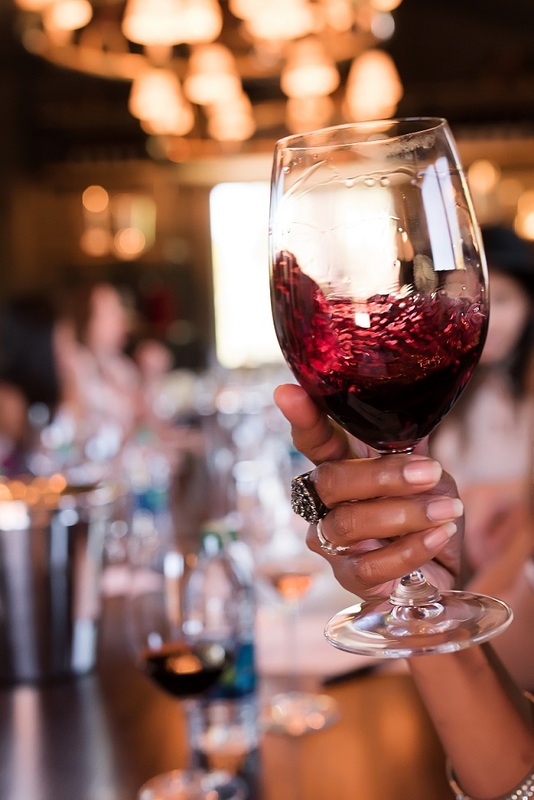 As you may remember, last month I had a pleasure of taking part in my first (and quite big) Wine Country Blogger Meetup. 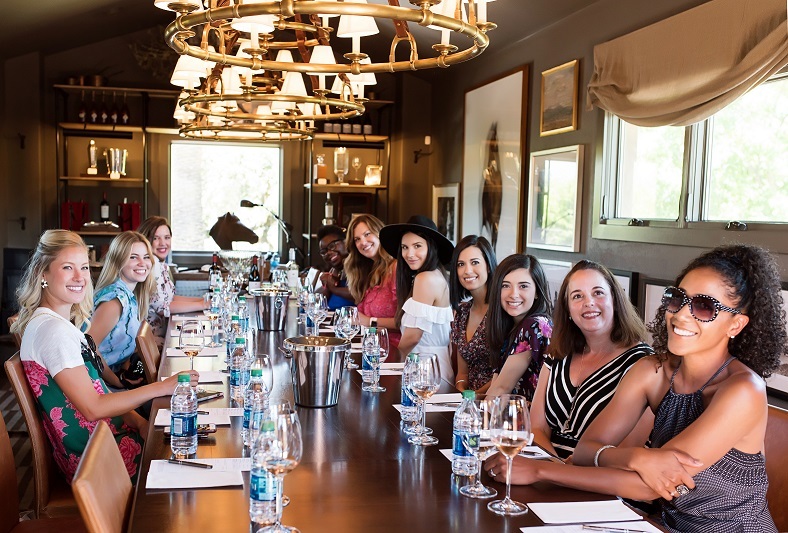 From meeting amazing ladies (aka Wine Country Blogger Gals), to trying delicious food and wine, let’s agree saying I had a blast is an understatement. 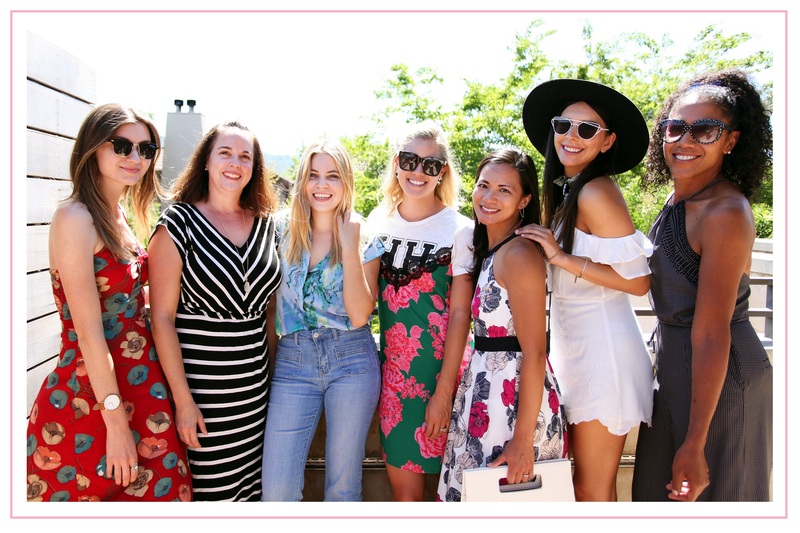 To me, being able to chat with, listen to or just be around many inspiring and like-minded women (and businesses) was everything I needed to feel confident with my decision to take blogging seriously. You see, this blog business is still considered somewhat new. Therefore, not a lot of people understand what we do for a living (and/or fun). Being in one room with entrepreneurs, who understand this industry and its challenges, was quite refreshing for me. 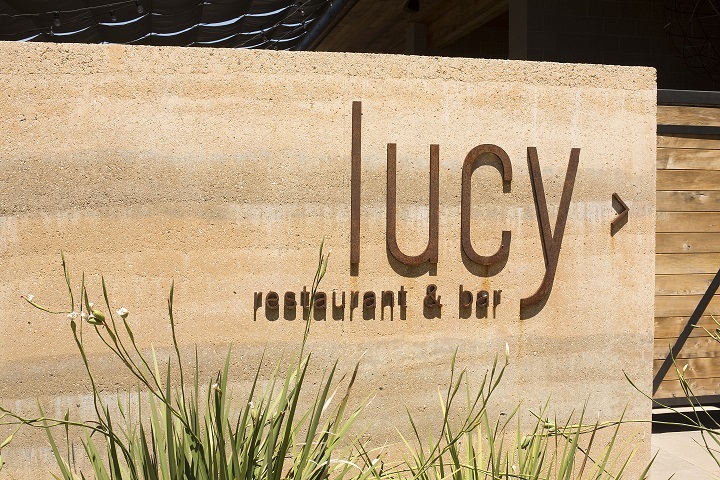 Lucy Restaurant at the Bardessono Hotel in Yountville (Napa Valley) was so kind to host our meetup and brunch. It was my first time visiting their location, but I’m sure it won’t be the last! Keep reading to understand why. 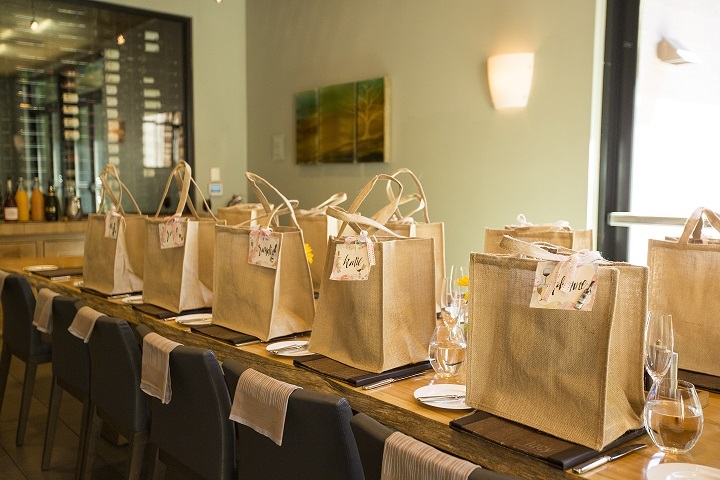 As soon as we entered the restaurant, we were welcomed with amazing goodie bags thoughtfully crafted by our generous local sponsors. Gorgeous Melissa of 9021Faux (left) and Adrienne of The Rich Life in Wine Country (right). 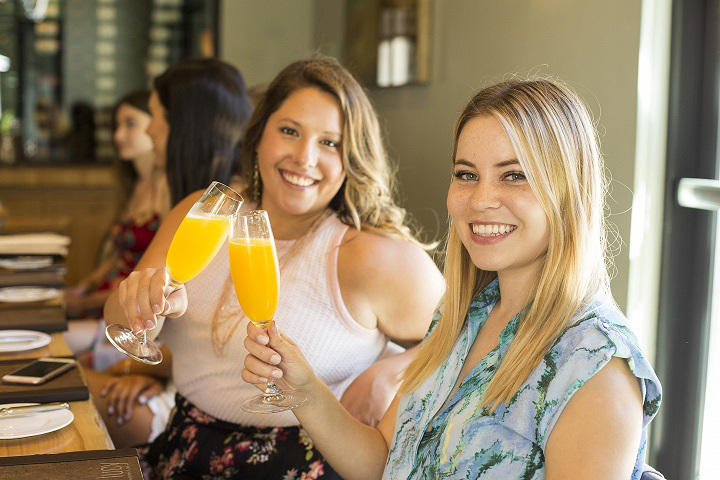 Sipping on mimosas with Mallory of VineLiving (who had a big part in organizing this event). 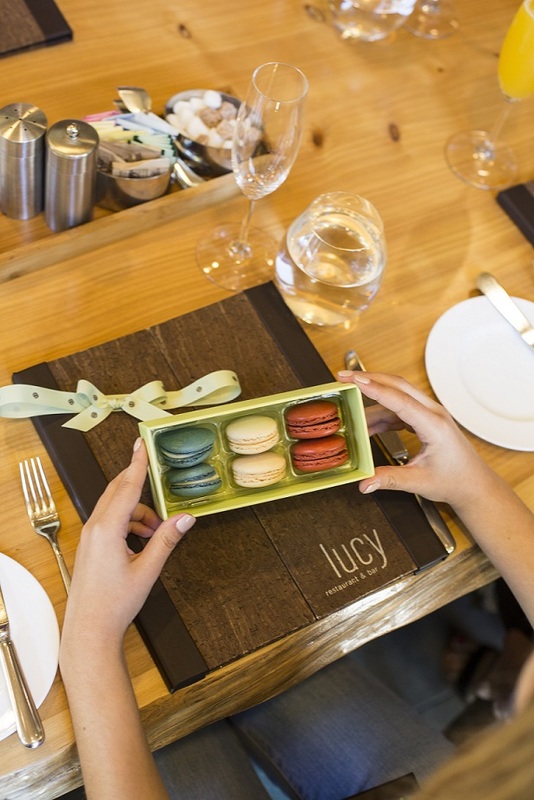 One of the gifts we could find in our goodie bag were these delicious macaroons from Bouchon Bakery. 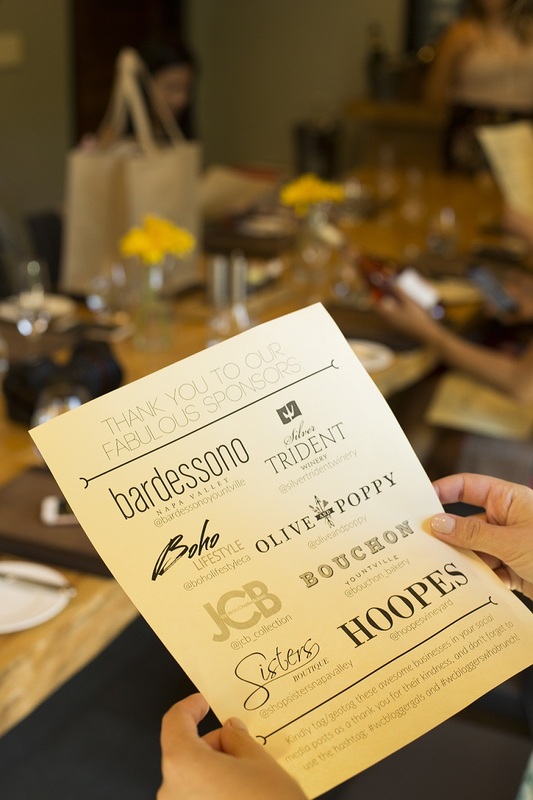 Fun fact: Bouchon actually partners with Bardessono, so if you stay there, you can bet they will welcome you with fresh pastry every morning! The other sponsors included: Hoopes Vineyard (shared a rosé that I have yet to try, saving it for a girl’s day 😉 ), Sisters Boutique in Napa (gifted silver stacked bracelets), Olive and Poppy (included wine barrel stud earrings and bracelet) and last but not least, Boho Lifestyle (featured a rose gold hot air balloon necklace). After our brunch (try their Eggs Benedict when you’re there! ), we had a pleasure of getting a private tour of the Bardessono Hotel & Spa. 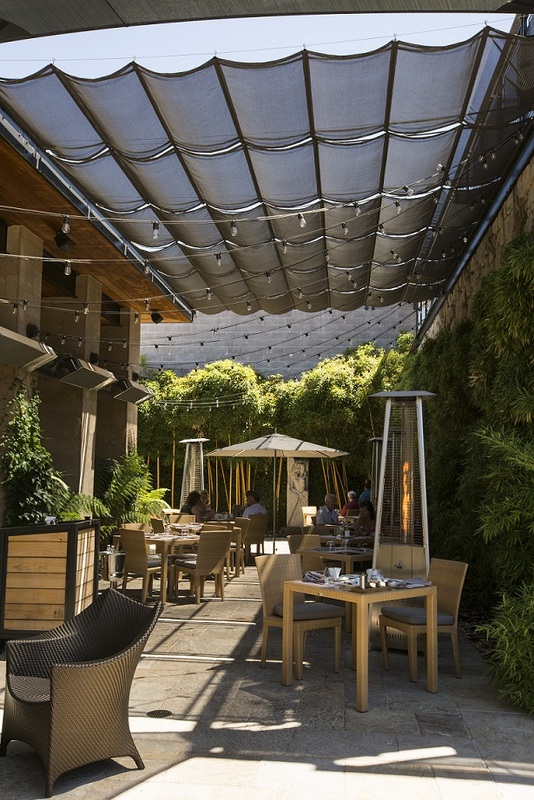 The hotel alone is a must when visiting Yountville. 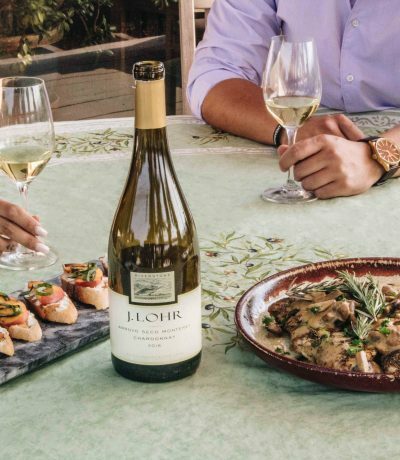 Publications such as Forbes, Trip Advisor or Travel + Leisure has been consequently acknowledging its excellence regarding the high standards and an unforgettable guest experience. 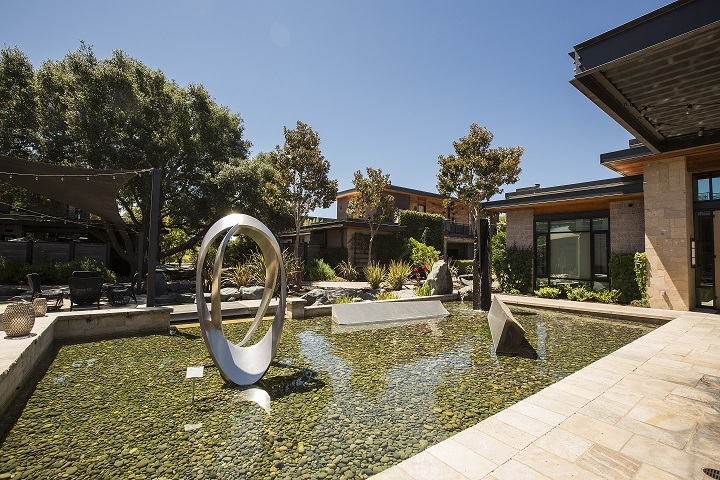 One of the cool things to admire at the property were these art pieces (available for purchase). 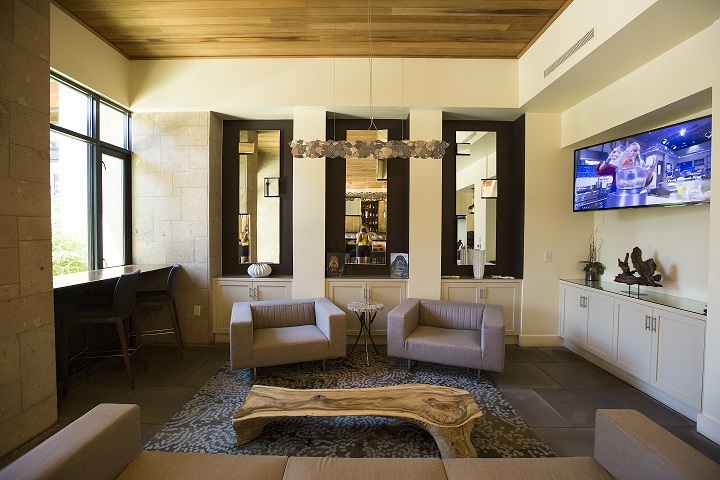 Did I mention that the hotel is also LEED certified (green)? 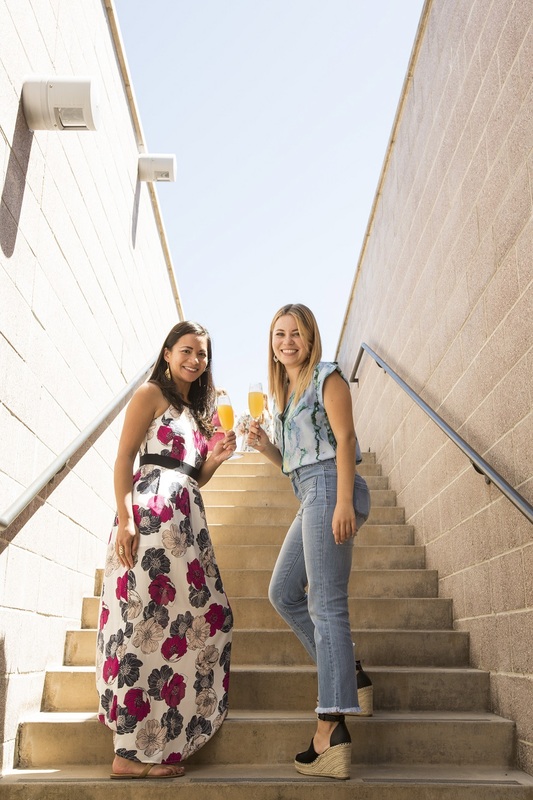 Heading upstairs to the pool lounge area with my fellow petite blogger – Cat, a Wine Country Moms blog contributor. You can follow her on Instagram here. For more details on what I wore to the brunch, read this post. 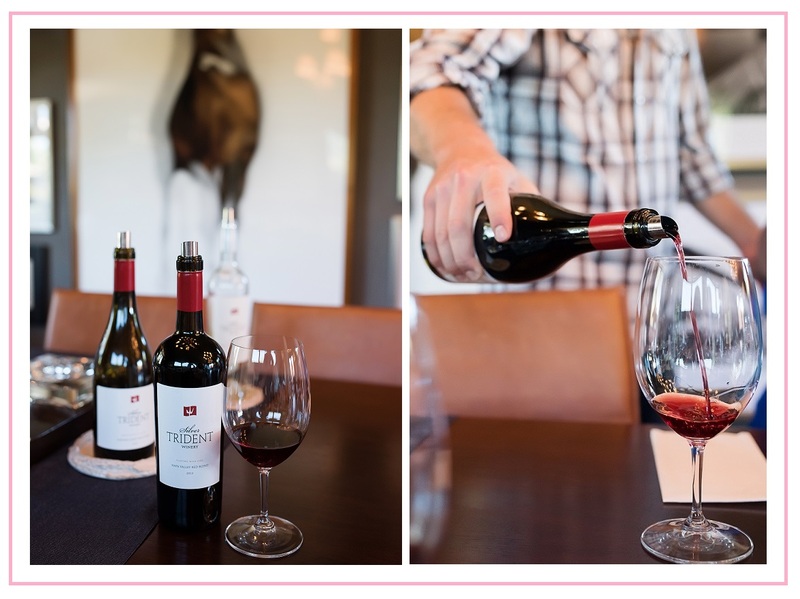 Now, our Wine Country Blogger Meetup wouldn’t be complete if we didn’t do some wine tasting! 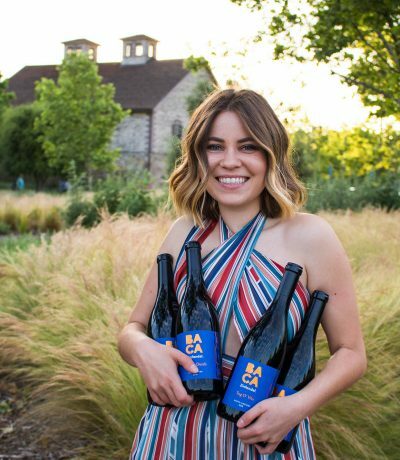 Silver Trident Winery was so kind to host the second part of our event (the winery is located in Yountville, just a short walk from the Bardessono hotel). Roze of Dear Younger Self is such a ball of positive energy! You guys make sure to follow her on Instagram and pay attention to her inspiring Insta Stories! 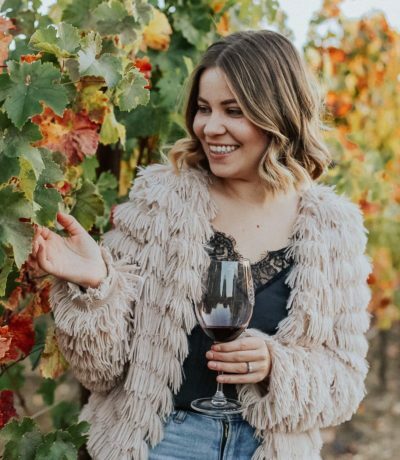 Randi is a founding owner of the Wine Country Moms Blog, providing a beautiful place to connect and engage + an outlet for moms (and women in general) to share their experiences with the local community. 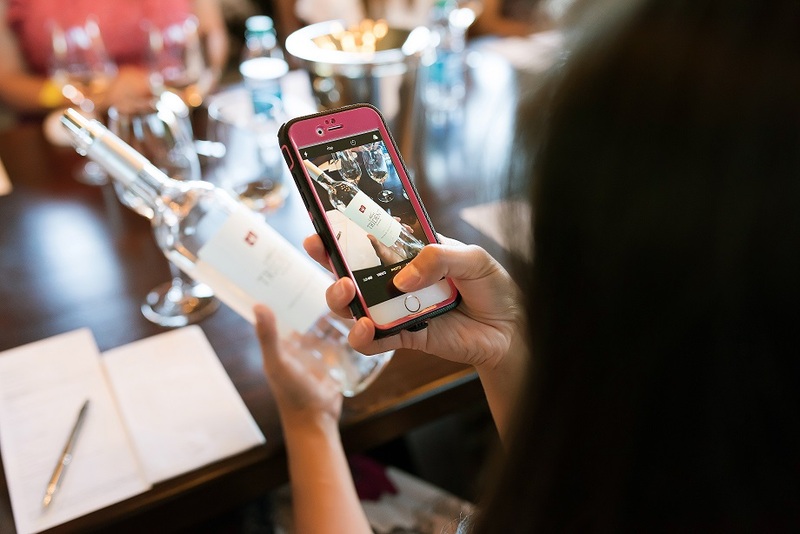 Of course, it wouldn’t be a blogger meetup if we didn’t document it all on our social media. 😉 Roze over here was such a champ doing an Insta Live throughout almost the entire event! 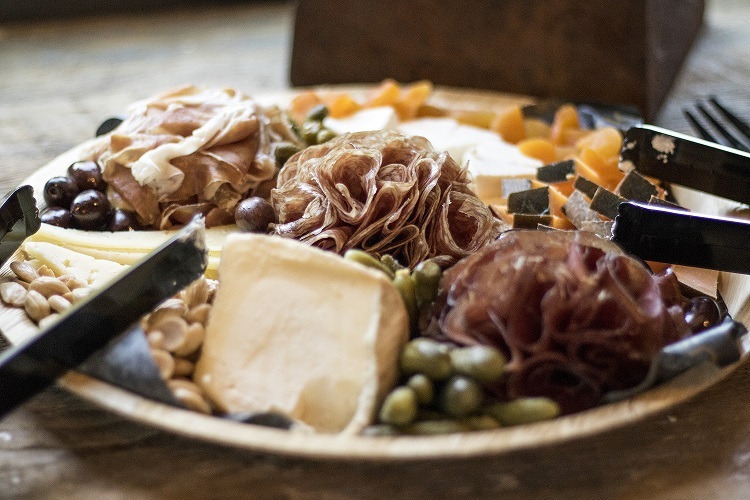 This cheese plate was provided by JCB Collection, who also equipped us with the bubbles during the brunch. Yes, you can bet your booty I took some of this goodness home! 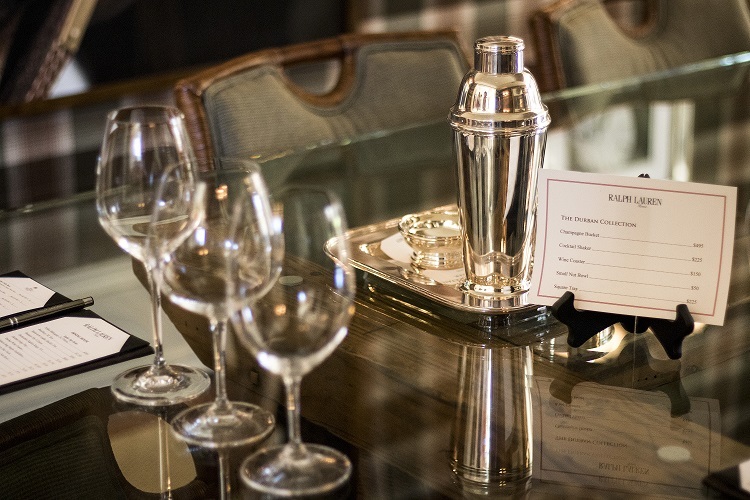 One of my favorite things about the Silver Trident Winery – the exquisite Ralph Lauren décor (available for purchase). 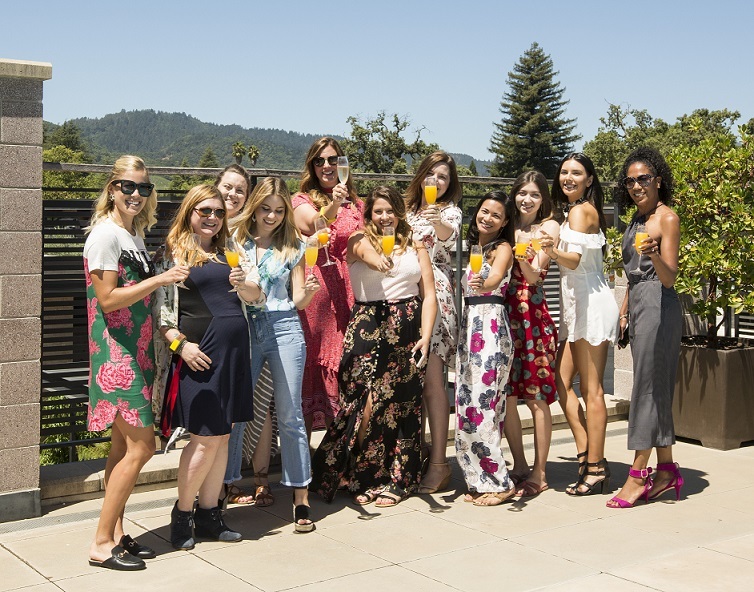 So much love for all these gorgeous and inspiring #WineCountryBloggerGals. 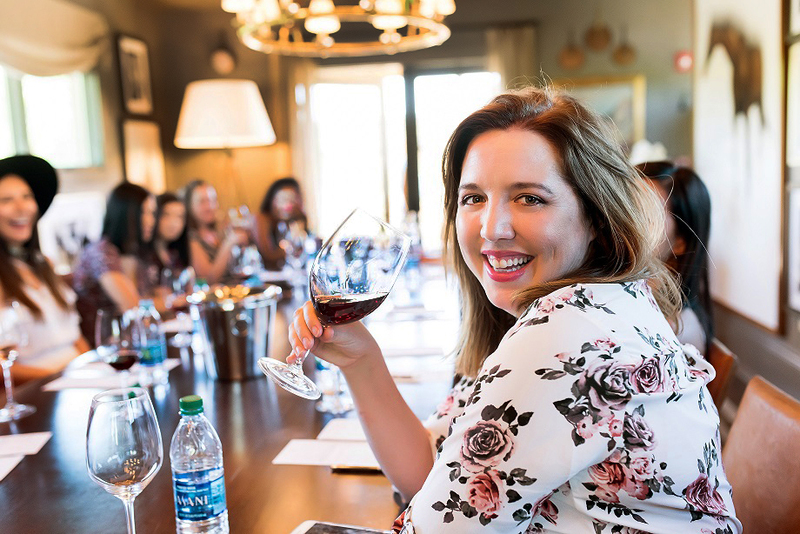 Loved meeting and chatting with Hannah, a Yountville local and creator of Vogue in Vines. 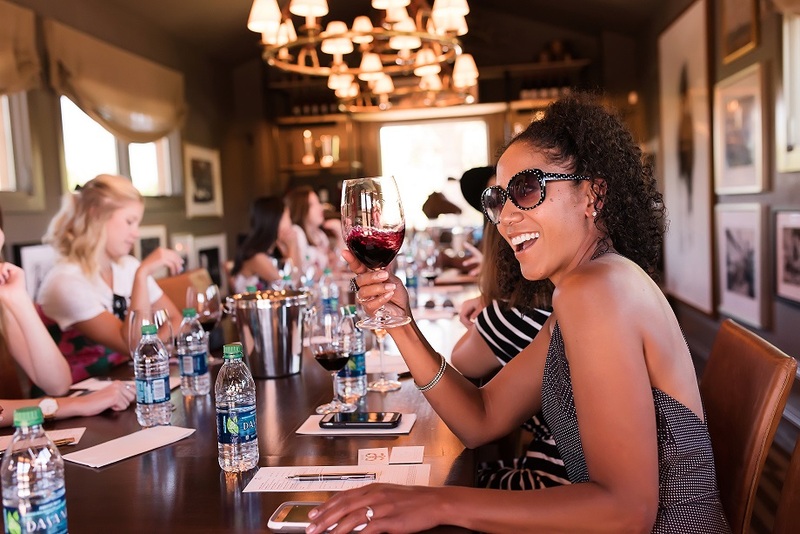 One again, SPECIAL THANK YOU to all of our amazing hosts, sponsors and organizers for including me in this Wine Country Blogger Meetup! Love your recap doll! Hope you had a great birthday week!! We should grab drinks to celebrate!! I saw this on your Insta-story! I thought the food was amazing, and you are all so gorgeous. 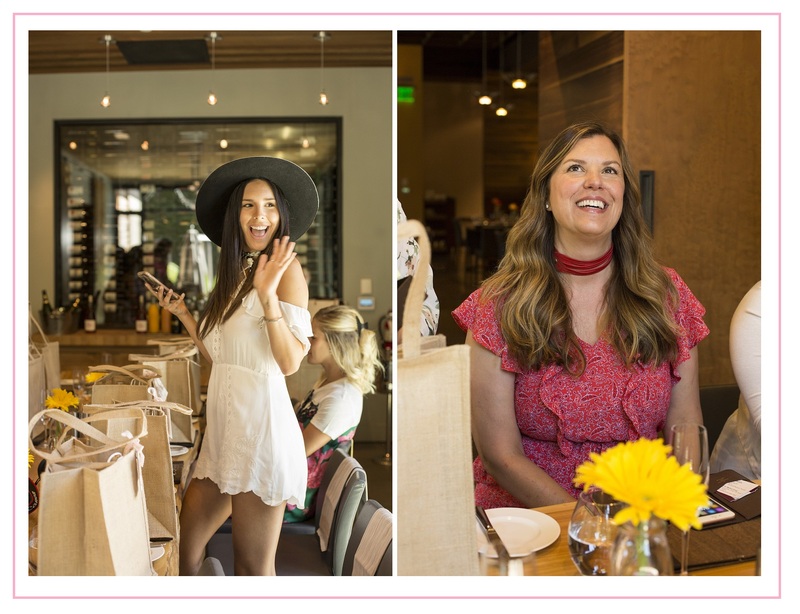 I’ve never been to a Blogger Meetup before but it looks like such a fun event! This looks like so much fun! I love hanging out with other bloggers. This looks like it was such a fun event! The food looks amazing and what a beautiful place. 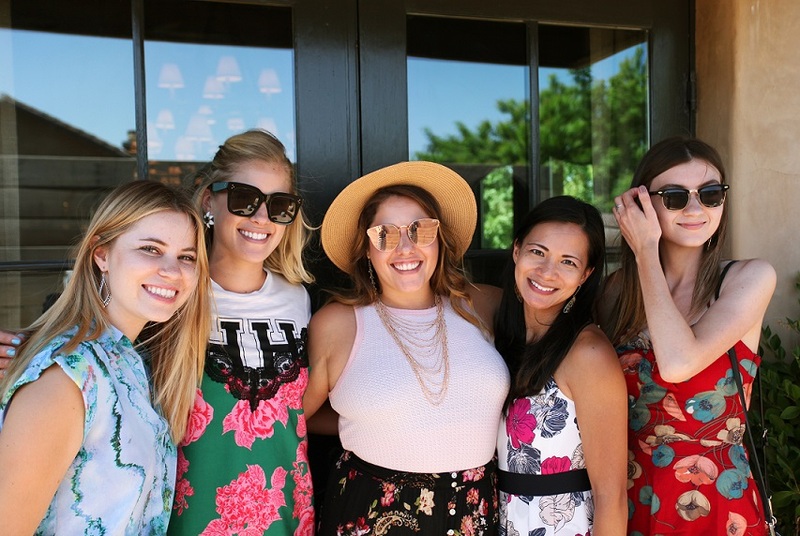 So fun getting to meet other blogger babes. This looks so fun! I love blogger meet ups as well. This is fun time with friends and this restaurant is so beautiful, Thanks for sharing with us. I absolutely love blogger meet-ups. So fun to meet other ladies that share your passions within your areas. 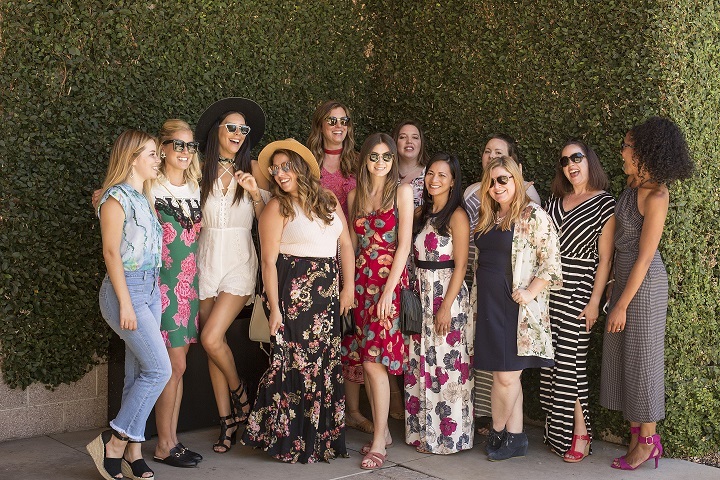 That’s how I met some of the blogger girls I”m good friends with today! Looks like you had such a fun time together and had so many terrific sponsors!